Ah, the joys of caring for horses in one degree weather. As my frozen toes tingled this morning, I watched our horses happily munching on their hay in the snow. No frozen extremities for them! Soon my mind was drifting to Harry Hurt III who wrote about equine assisted learning in The New York Times* nine years ago, wishing he could be more like a horse at the end of the day with our equine partners. With the work we do with horses, we are constantly challenged to better understand what we can learn from these magnificent animals. Why did they survive longer than dinosaurs? Is it because they are in the present, assessing each situation in terms of danger or opportunity? Or is it because they organize their herd in ways we can only aspire to? Or maybe, just maybe, it's because they found a way to cohabitate with us humans and tolerate our faults. They have been our partners in war and peace, drawing our plows and carriages. What is their role in the 21 st century? Above and beyond what they already do as pleasure and competition mounts, horses can have a big role in teaching us to be more intentional, more forgiving, and communicate better with each other. On our own farm, we have five horses who would be "down the road" if it was not for equine experiential education. It makes me feel good for them, and for the people they have helped in the last 10 years. Keep up the great work and please share your stories. 1st International E3A Conference: Submission Deadline for Presentation Proposals Extended to January 31, 2017! E3A is now sending monthly updates with a calendar of events and training opportunities. 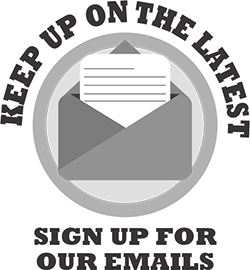 Check your email the first week of each month for a six-month view of upcoming events. For a complete list of the 2017 Calendar of Events & Trainings, click here. C2 arena class: February 26-28, 2017 Early Bird $925. Click here to register. C3 arena class: Mar 2-4, 2017 Early Bird $1175. Click here to register. Bundle C2/C3 at the same time for $2000 and save$! Click here for more information about E3A Level 1 Certification in Indiana. Having trouble registering? Call us at 775-376-2530. Ginny will be representing E3A and the EAL field at multiple conferences in 2017. June: Association for Leadership Programs . Telego states, "At this conference, I will speak about how community leadership development programs can use assessment information and experiential learning. While the presentation will not focus completely on equine experiential learning, it will be a primary component of the section on how experiential learning can assist in teaching leaders to manage change." As the past president of the E3A Board of Directors, Ginny is an enthusiastic supporter of E3A as well as the EAL field as a whole. In addition to impacting clients in her own EAL and EAP business, she mentors college students who are interested in the EAL field and takes advantage of opportunities to speak to groups about equine experiential education. Ginny lives in Ashland, Ohio where she operates her business, Wager's Way Equine Assisted Action Learning. Wager's Way offers leadership training, team development, and individual coaching, and also partners with mental health professionals to provide equine assisted psychotherapy to youth. Wager's Way began programs in 2010 and has served hundreds of clients in the past six years. In 2016, Ginny traveled overseas to Qatar with E3A Master Trainer, Lissa Pohl, to facilitate an equine assisted leadership development workshop with the Qatar Foundation. In addition to her EAL work, Ginny serves as the part-time Executive Director for Leadership Ashland, the premier community leadership development program for Ashland, Ohio, and as the Diversity Programs Director for the Ashland County Community Foundation. For more information on Ginny's EAL program, Wager's Way Equine Assisted Action Learning, visit www.wagersway.com. Want to attend Ginny's session, as well as other informative sessions, at the Healing With Horse Telesummit? Click here to register. E3A receives a portion of the proceeds from Telesummit purchases made via this link. The Healing With Horse TeleSummit offers Education, Ideas, Best Practices, and Inspiration for your equine practice. The theme of this year's Telesummit is: An Exploration of Sentience. Want to help others grow as an Equine Learning (EAL) Practitioner? E3A is looking for compelling speakers for the E3A Conference program. Broadening clientele and creating lasting programs for sustainable income. Presentation proposals are due January 31, 2017. Details about the submission of presentation proposals, as well as other information about the conference, can be found on the E3A Conference Website ( http://e3assoc.org/E3AConference). We had a robust response to our latest membership survey, thank you all. Responses came from long time members, as well as people who are considering joining E3A. This is exciting, because it suggests that we continue to be relevant to long timers, while attracting new practitioners. Finding an equine assisted option was the reason several of you cited for joining E3A. You also told us that our training process and facilitation model are important to you. Interestingly, almost half of respondents are certified by E3A and an almost equal amount is certified by another organization. My interpretation of the data is that many people who are attracted to E3A have a depth of experience in equine assisted learning; and that our facilitation model offers something unique. Our members also have passion. It came across clear and loud in your responses, such as, "Felt strongly about the power of horses wisdom to transform people's lives". For all the kudos and excitement, there is also room for improvement. According to survey respondents, our ability to meet our membership need is not rated as high as we'd like it to be. Thankfully, you have given us very specific recommendations, which we are reviewing and implementing. For example, we have cut down on the number of e-mails about our programs. This recommendation is consistent with the same recommendation from members of our marketing committee, who have implemented a monthly announcement of the schedule for the upcoming six months. We will update you on our progress in our newsletter. You have also generously come forth with offers to volunteer. If we have not gotten back to you individually yet, please send me an e-mail at marieclaude@thehorseinstitute.com . I'd like to schedule a short call with each member who is interested in volunteering, and make sure we can match your interest with the right committee or new initiative. With gratitude and warm wishes to all. If you are not a member of E3A, we'd like to invite you to join us. There are many benefits to being an E3A member, including free Community Network Meetings, great people to network and exchange ideas with, and some opportunities that are only open to our members. Check them out at www.E3Assoc.org under Membership. We have plenty of volunteer opportunities. Call us to let us know how you want to help. Remember, every horse in the herd plays a role in the herd's success...What part will you play in OUR herd?